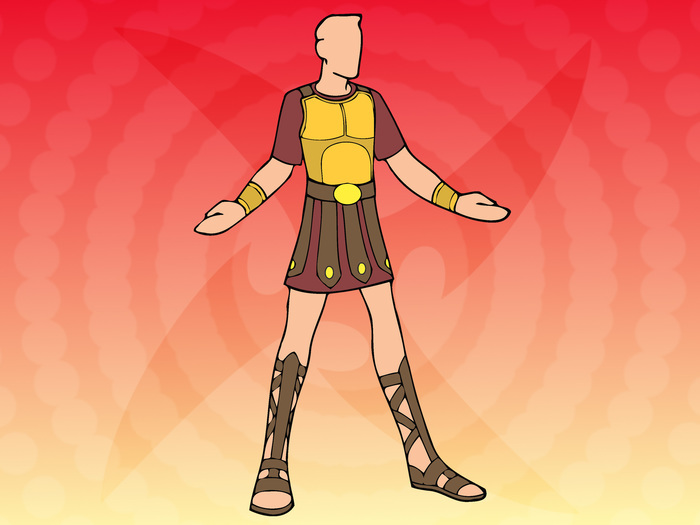 Ever wanted to dress like a Roman legionary, ready to bash some imaginary Gauls? Get a long red shirt, that reaches your knees. Get a suit of that armor. It can be sold for as cheap as 50 bucks. Or, you can make it out of aluminum foil glued onto cardboard. Get a shield. This can be a big piece of rectangle cardboard, painted red, and tape a handle on the back to hold it. Or you can buy one. Buy a sword, or make one. 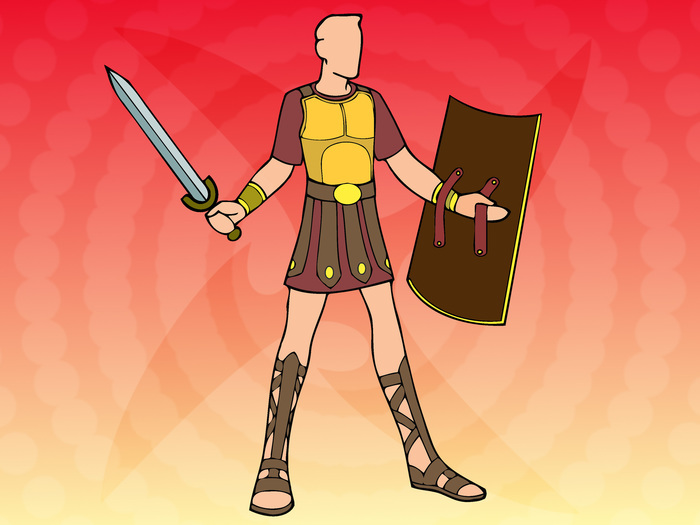 Learn about Roman history to help. The weapons can actually hurt, toy or reactor.